40Plus of Greater Washington - Jumpstart Your Career: The Job Seeker’s Holistic Approach with Earnest Robinson, Jr.
Jumpstart Your Career: The Job Seeker’s Holistic Approach with Earnest Robinson, Jr.
Monday Morning Speaker: Earnest Robinson, Jr. Conversation with Earnest Robinson, Jr. Spinning your wheels as you seek a job or new opportunity? This course will help identify the problems and mistakes that affect a successful job search while helping to explore what motivates you. Through discussions and activities, create S.M.A.R.T. goals, career objectives, and practice interview skills and salary negotiations. In addition, learn the importance of a balanced lifestyle that creates good physical and emotional health. 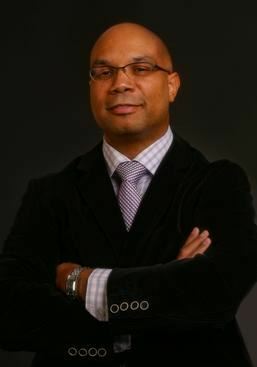 Instructor Ernest Robinson is a certified career coach and author. Over 20 years of Coaching, Project Management and IT exerience. Author of the book, MAKE THE JOB NEED YOU! Today’s Holistic Approach to Career Success and Longevity. Holds the credentials of Certified Professional Career Coach and Project Management Professional (PMP). Earned a Bachelor’s of Science degree in Psychology, a Master of Business Administration (MBA) and a Master’s of Science and Technology (concentration in Project Management). Retains the globally recognized certification of a Project Management Professional (PMP) and certification in ITIL Foundation. He is a member of the Professional Association of Resume Writers & Career Coaches (PARW/CC) as well as being a long-time member of the Project Management Institute (PMI). Click here to have me contact you. No more excuses. Make it happen today! Over 20 years of Coaching, Project Management and IT experience. Plan to join us after the meeting for networking. Admission is free. Many of us carry our conversations to lunch at one of the nearby eateries.